History of Church: circa 1913-1915; it started as a beautiful red brick structure; built by the Grace Methodist Episcopal Church when the State of Oklahoma was only 6 years old. By 1929, it had become the First United Brethren Church, and remained so until at least 1946. In 1948, it began appearing in city directories as the First Evangelical United Brethren Church at which time the current impressive stone facade was placed over the brick. In 1961, it became the First Church of God until at which time Leon Russell purchased it in 1972 for his plans of a recording studio and record label, bringing in partner; Denny Cordell; a 30 year-old producer from England; with work history with such name artists as Procol Harum, Joe Cocker, the Move, the Moody Blues, T Rex, and George Fame. Cordell met Leon while the two were working on a Delaney & Bonnie LP together. In 1972, the Grammy award winning and internationally recognized, Leon Russell, turned the mysterious historic stone church located at 3rd and Trenton in Tulsa, Oklahoma into a world-renowned recording studio for his record label, Shelter Records. Leon; Oklahoma’s legendary musician, song-writer, producer, and entrepreneur; was one of the pioneers for the “Tulsa Sound” and helped foster a musical workshop and engaging community for some of the world’s biggest acts—artists like The GAP Band, Freddie King, Mary McCreary, DJ Rodgers, Tom Petty, Phoebe Snow, Eric Clapton, Peter Tosh, JJ Cale, Bill Davis, Jimmy Rogers, Flash Terry, Gus Hardin, Chuck Blackwell, Gus Hardin, Jamie Oldaker, David Teegarden, Steve Pryor, Dr. John and many more! 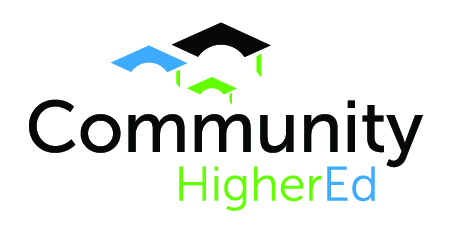 Community HigherEd (CHE) is a non-profit 501( c )(3) corporation founded by Ms. Knox with the mission to advance the purpose of Community Care College, Clary Sage College, and Oklahoma Technical College through active engagement, advocacy, fundraising, and stewardship. The charity plays a significant role in the Tulsa community. Addiction, abuse, and poverty are all reduced when a post-secondary education is achieved. Founded in 1995, Community Care College is a licensed and accredited non-profit institution offering on-line or on-ground diploma and associate degree programs in the allied health fields (Dental Assisting, Medical Assisting, Surgical Technology, Pharmacy Technology, Medical Billing & Coding, Health Care Administration, Fitness and Health, Veterinary Assisting), as well as high demand career training in Paralegal, Business, and Accounting. Because of the lucrative growth in the beauty, fashion, and design industries; , the hiring community loves Clary Sage College graduates! Alumni deliver truly exceptional client services from technical skills, to ambiance to memorable experiences. The non-profit college is dually licensed and was established in 2007 as a branch campus to Community Care College. Cosmetology, Barbering, Nail Technology, Master Instructor, Massage Therapy, Hair Braiding, Esthetics, and Makeup Artistry programs exceed state board requirements, and lead to licensure eligibility. Due to the high fashion, pop culture atmosphere, the college also offers exhilarating and in-demand degrees in Fashion Design and Interior Design! Go by and enjoy a haircut or massage and let us know what you think! OTC students and graduates are Champions at work! The non-profit college is a strategic partnership of faculty, students, graduates, and industry working together to insure the market has a skilled workforce of highly trained professionals! The campus, a brother campus to Clary Sage College and a branch campus to Community Care College offers programs in: Welding Technology, Heat, Air, and Refrigeration, Heavy and Medium Diesel, and Automotive Technology. Like getting your hands dirty? We do too! And...Sam's is still next door.